Working with Hebridean homes in collaboration with Rettie & Co. we were comissioned to create a virtual walkthrough of one of their most recent projects, Kirton Cottage. For this our deliverables included a virtual reality walkthrough, 360 tour for web and CG images. 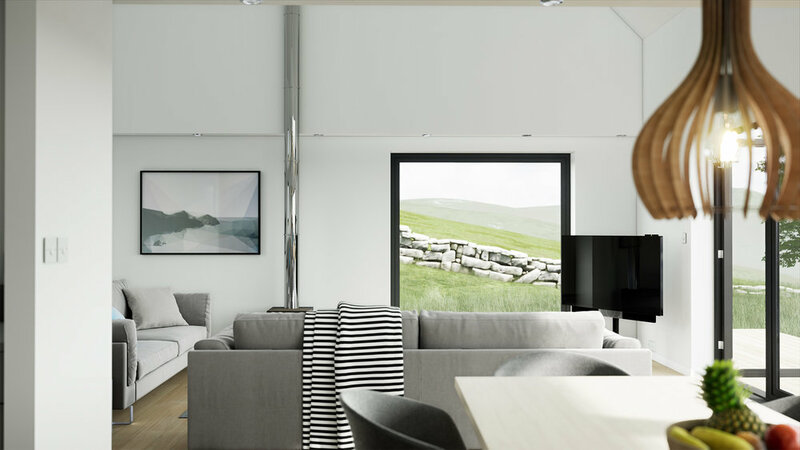 Dualchas Architects sister company Hebridean homes are relaunching their website mid september and required a virtual reality walkthrough of one of their most recent projects, Kirton Cottage. This was to allow potential clients, interested in their design and values, to have a sneak peak at the architecture and interior prior to submitting interest in their product. Through delivering various mediums including virtual reality, 360 tour and CG Images, the project was able to appeal to a wider audience. 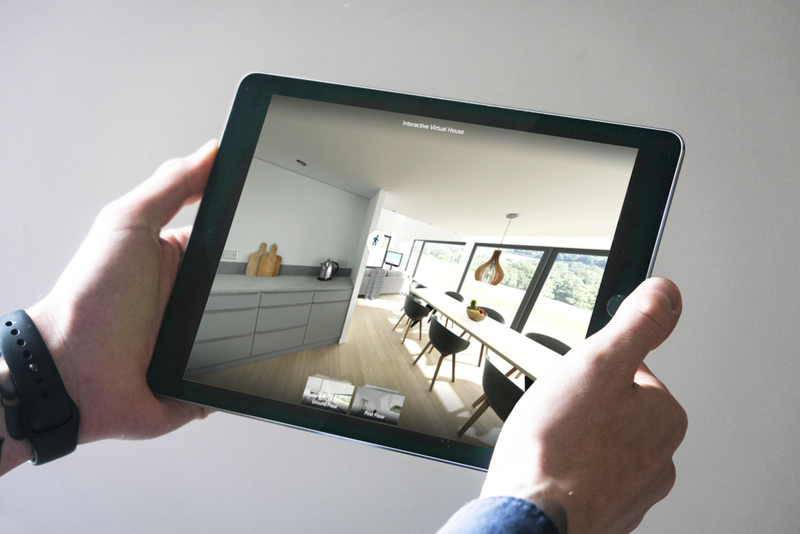 vr was used by Rettie & co. at their offices to show potential clients the design but through the use of a web based tour, customers from other parts of the country could view the architecture and design before making contact. The full 360 web enabled tour can be found here: 360 Tour of Virtual House.